Hashtags usually divide people into two groups: those who love them and those who don’t think they’re necessary. Guess what? They are necessary. They’re free advertising and can lead to collaborations with other businesses. They also boost engagement: according to Sprout Social, Instagram posts using at least one hashtag receive 12.6% more engagement than those without. So, open your trusty notebook and get ready to take notes. Class is in session. You may call me Professor Thomas (Editor’s note: she is not a Professor). Objective: Provide a quick overview of hashtags. Skip to Part 2 if you know the difference between hashtags and emojis. Hashtags are defined as a word or phrase preceded by a hash sign (#), used on social media websites and applications to identify messages on a specific topic. In layman’s terms, hashtags are a way for you to tag and categorize your photos using keywords. People can use a specific hashtag and find photos related to that topic or theme. Posts you'll find when you type #workspacegoals in Instagram's search bar. For example, if you use the hashtag #workspacegoals, you’ll find photos from users all over the world showcasing their work space. You’ll also notice accompanying hashtags such as: #remoteworker, #officeoftheday, #digitalnomad etc. Plus Instagram recently announced you’ll be able to “follow” hashtags as you would accounts. 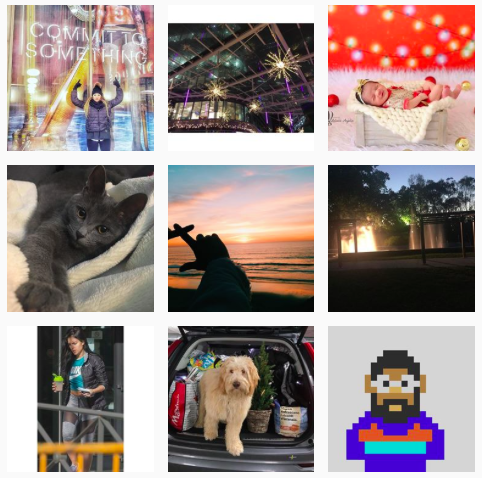 This changes the game – now your photos can appear in people’s main feeds leading to even more engagement than before. Objective: Highlight how different hashtags can be used to grow your brand. Increases your visibility in a particular country, city, or neighborhood. These work best for local businesses, bloggers or travellers. You’ll get foot traffic in your store and situate yourself as one of the best in your area. Tip: be specific with your location. It’s okay to use #toronto but include targeted hashtags depending on your clientele such as #torontocoffeeshop, #torontobakery, #torontohairsalon etc. The #torontobakery hashtag has over 32K posts. These hashtags are usually broad. They’ll help you gain visibility amongst those in your field, and also help potential customers find you when they do general searches. Tip: a lot of people use industry hashtags (#photographer has 71+ million posts; #smallbusiness has 10+ million posts), so only use two or three. Hundreds of photos are uploaded every second. We know what industry you work in, but what’s your niche? What kind of photographer are you? Wedding? Travel? Food? 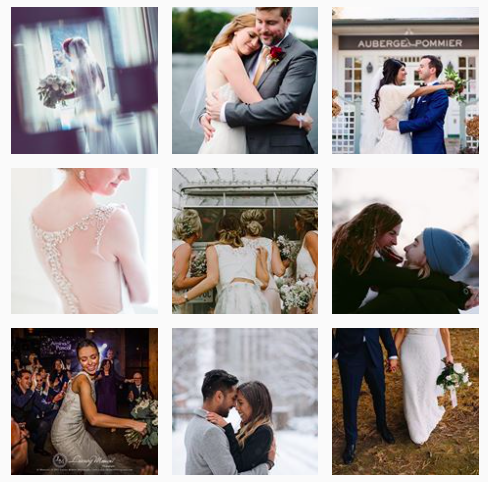 The #torontoweddingphotographer hashtag has over 131K posts. Try this: #weddingphotographer. It’s more specific and targets your ultimate customer. If you want to go a step further, include your location: #torontoweddingphotographer. Easy peasy. What major (or fun) events/holidays are occurring? Stay-up-to-date using marketing calendars, and create content ahead of time. These hashtags help you become part of a national (or global) movement, and it makes sense to capitalize on them. Tip: only use relevant hashtags. If you’re a Mexican restaurant, should you really be creating content for #PenguinAwarenessDay? Branded hashtags are unique to your business. 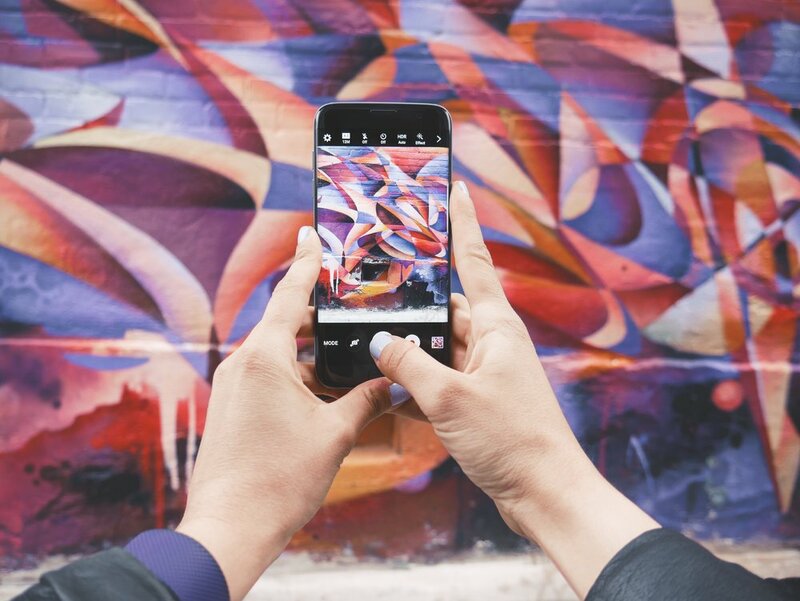 A study by Simply Measured found 70% of the most-used hashtags on Instagram are branded. It can be your company name (#letterfolk for Letterfolk) a campaign (#MyCalvins for Calvin Klein), or your brand’s identity (#abmlifeiscolorful for A Beautiful Mess). The #letterfolk hashtag has over 24K user-generated posts. These hashtags personalize your brand and help you find photos created by users that feature your product. In some cases, a movement or community may develop – increasing brand loyalty. One example of this is Travel Noire’s #travelnoire which is used by travellers of color and has led to global discussions about inclusivity within the travel industry. Other popular branded hashtags that have grown to become community-based hashtags (for travel) include: #dametraveler, #sheisnotlost, and #withthelocals. 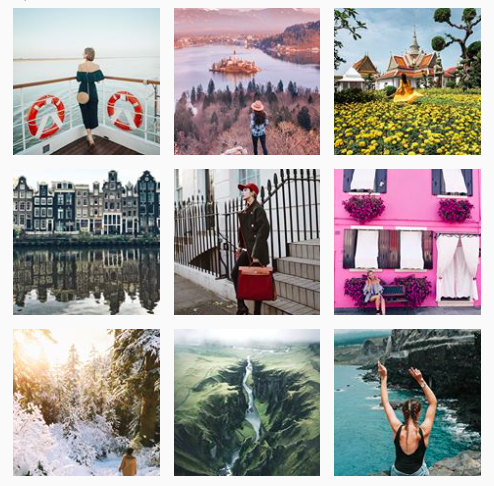 The #dametraveler hashtag has over 1.9 million user-generated posts. Tip: try to get featured by big-name brands by using their branded hashtags. Your photo may be re-posted, leading to engagement on your own account. Tip 2: interact with people who are using the branded hashtags you are. Develop connections and relationships, and watch your follower-count grow. Don’t forget to create your own branded hashtag! Even if you’re the only one using it (for now), it’s a good habit to get into. Objective: How-to use hashtags to target your desired audience. One step closer to becoming a hashtag pro! DO: there is much debate about how many hashtags to use. Some say seven; others say 30 (maximum amount). Start off with 30 and take it from there. If you're unsure or struggling to find suitable hashtags, aim for at least 15. As your account grows, you can decide whether you want to use less. DON’T: use unrelated hashtags like #insta or #followforfollow. These hashtags are untargeted and usually quite spammy. DON'T use #followforfollow. It has over 168 million posts. Your photo won't be seen. DO: Elise Darma (travelpreneur influencer) recommends using hashtags that have between 20,000 – 50,000 posts. · Type your hashtag of choice into Instagram’s search bar. It'll show you how many posts it has. DO: your research. Type your industry or niche into Instagram’s search bar and scroll down to find related hashtags. You only have 30 hashtags (maximum) to use, so use them wisely. DON’T: use extremely general hashtags like #smile, #happy, #love. #Love has over a billion posts. Next. DON'T use #love. There are over a billion random posts. Your content won't be seen by your desired consumer. DO: study your competitors and industry influencers to find suitable hashtags. DON’T: use hashtags that are rarely used and hard to decipher: #werethebesthellyes. DO: as a small business owner, try #shoplocally (34.6K posts), #smallbusinesslife (26.5k posts), #smallbizlove (11.7K posts). DO: mix and match “big” hashtags (high density posts) and “small” hashtags (low density posts). Hashtags are essential for any business’ social media strategy. As we head into 2018, think about which ones you can use, and make sure you track engagement. This is Professor Thomas signing off (Editors note: again, she’s not a Professor) – see you next class!